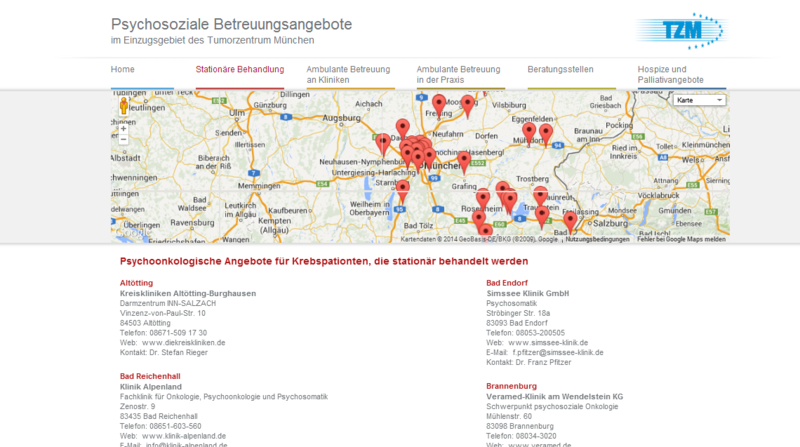 The new site is called Psychosoziale Betreuungsangebote and is intended to help people in Bavaria find psychological and palliative support centres. Of course we developed it in Typo3 and added our Google Maps plugin to show available support centres on a map of Bavaria. The site is not yet translated to English, as all the other sites for TZM are, but this will be coming soon.